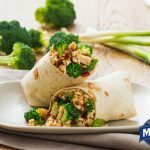 For a nutrition packed lunch that takes very little preparation, make these broccoli teriyaki wraps for a packed lunch or quick meal at home! 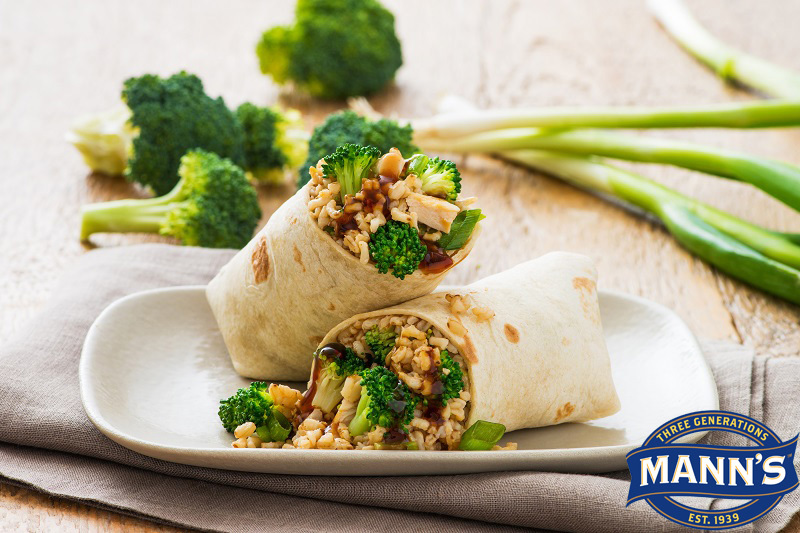 In a large bowl combine cooked Mann’s Broccoli Wokly®, rice, green onion, teriyaki glaze and ginger; toss to mix. Divide mixture evenly between two tortillas and roll.